The museum conducts tours for all ages. Although we tend to think of STEM for youth education, all ages enjoy our tours and leave having learned more about Tektronix, its people, technology, and impact on the area. 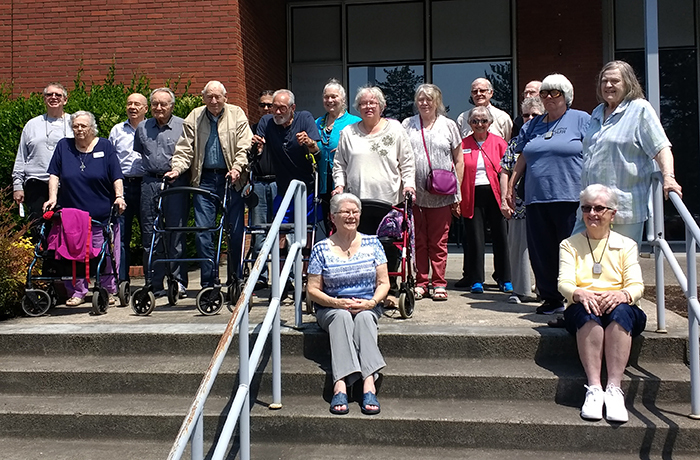 Edgewood Downs Senior Center arranged a tour for 18 individuals and some had previously worked at Tektronix. Four volunteers gave small group tours of the various exhibits. Contact the museum if you would like a tour for your group.